If you need to have a garage door installed in Columbus, OH, you can count on the professionals at 31-W Insulation for friendly service and top-notch workmanship. We’ve proudly served homeowners since 1972, making us one of the most experienced home improvement companies in the area, so you can rest assured that we have the skills necessary to get the job done right. No matter which garage door you ultimately choose, you can rest assured that it will look and operate like new for many years to come. We exclusively offer garage doors from the industry’s leading manufacturers, including Amarr®, Wayne Dalton, and Windsor Door. 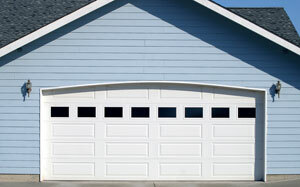 These brands have a reputation for producing beautiful garage doors that are engineered to stand the test of time. To begin the easy – and exciting – process of choosing a new garage door for your Columbus, OH, home, contact 31-W Insulation today. One of our friendly team members will gladly visit your home to provide a complimentary consultation and no-obligation estimate. While we’re there, be sure to ask us about our other home improvement services, including the installation of attic insulation, closet organizers, gutters, and more.